So…it is only Wednesday! And here I am! I was on the verge of a major depressive episode yesterday. I haven’t been feeling too good, and it just happens that way sometimes. Not sleeping, etc. and it starts a cycle. But…I put pen to paper…or stick to scratch paper…a number of times yesterday, and managed to thwart it. 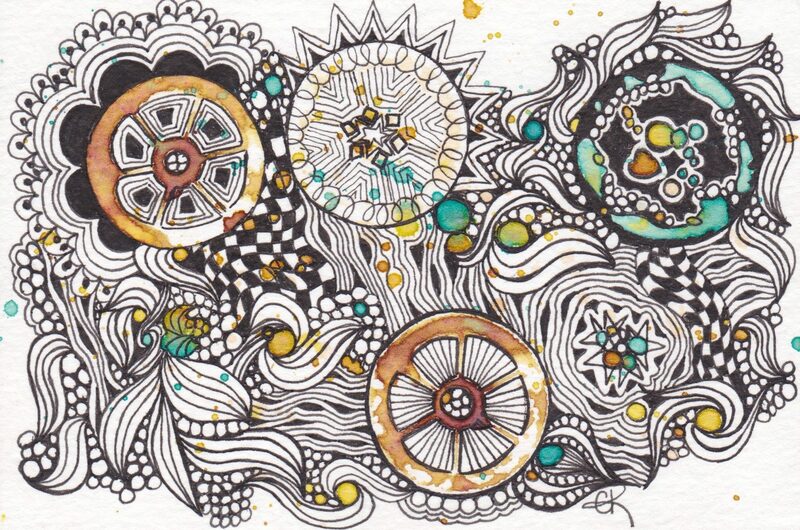 I love that Zentangle works that way. 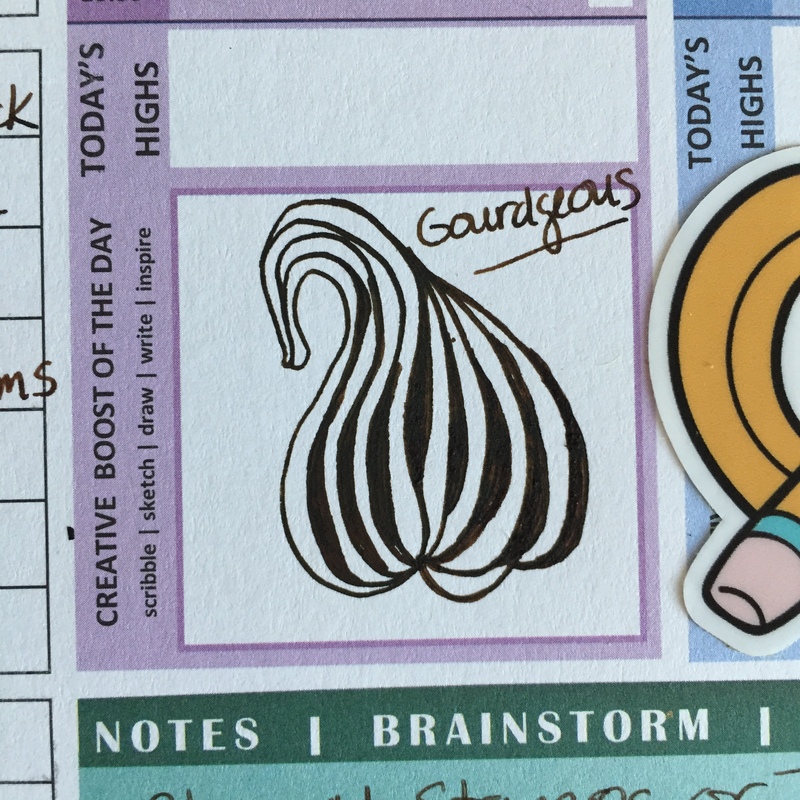 So I felt pretty good about it…and was cleaning off my desk and found the stack of Scratch and Sketch Artist’s Tiles on my desk that I had not previously tried…and gave that a go. They are a bit hard to photo, and they definitely don’t scan well. So I continued on…doesn’t’ this look like it would make a great pumpkin? I am in Fall mode now that the weather is finally cool enough to wear long pants (although in Southern California, it feels like we skipped directly from Summer in the 90’s to Winter in the 50’s overnight!) So pumpkin it was! Still on a bender with my Derwent Tinted Charcoals. 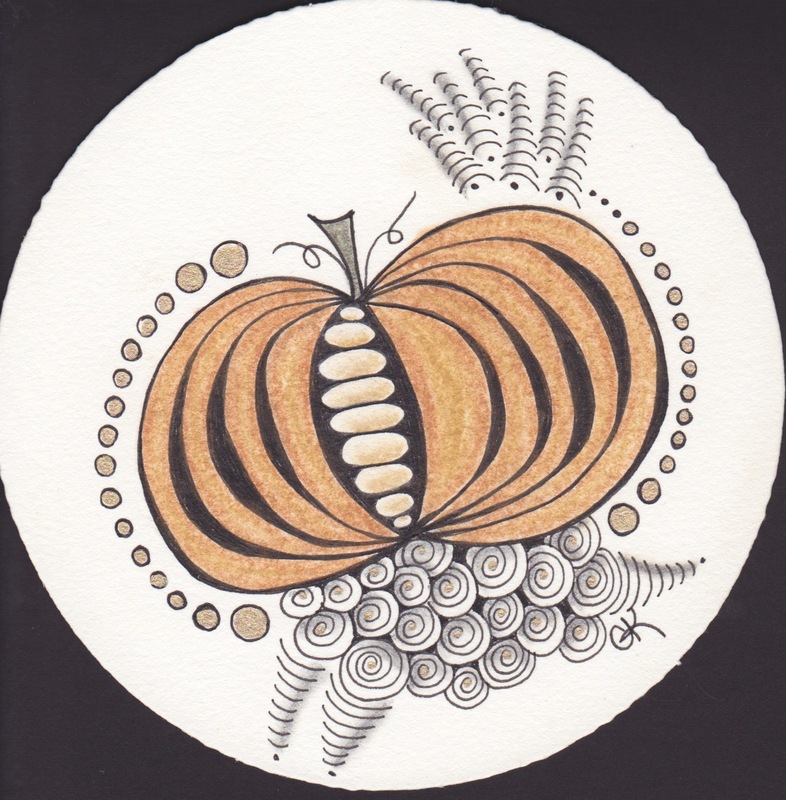 As I was finishing this up, I glanced up at the walls at the shop, and realized it is absolutely covered in Gourdgeous! Panel curtains from Ikea, rather breaks up a really LONG wall! So that’s all my Gourdy stuff for the week! 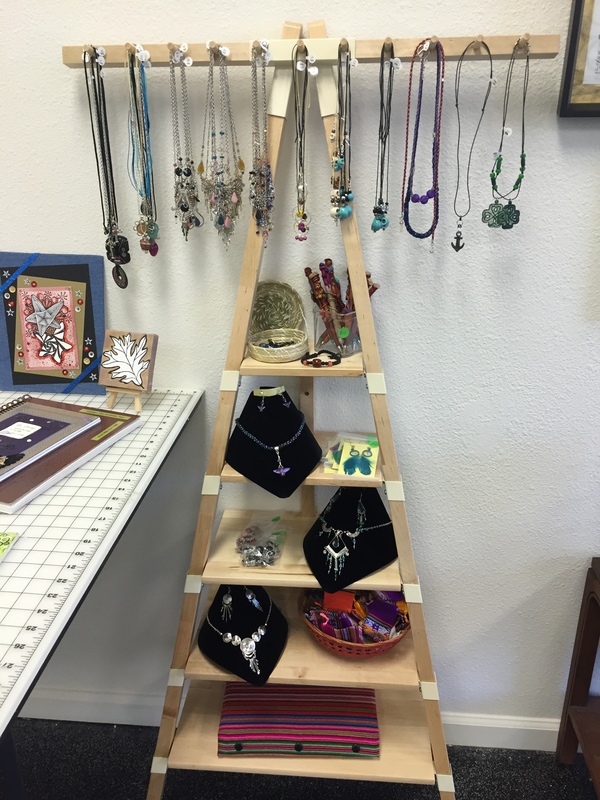 I spent a good amount of time doing some arranging at the shop yesterday, and have some great trinkets ready for Christmas shopping. Journals, ceramics, jewelry (some hand made by me, some hand made in Peru), and ornaments. I will be running some specials on Small Business Saturday if you are in the area and looking for neat gifts and art supplies for giving! 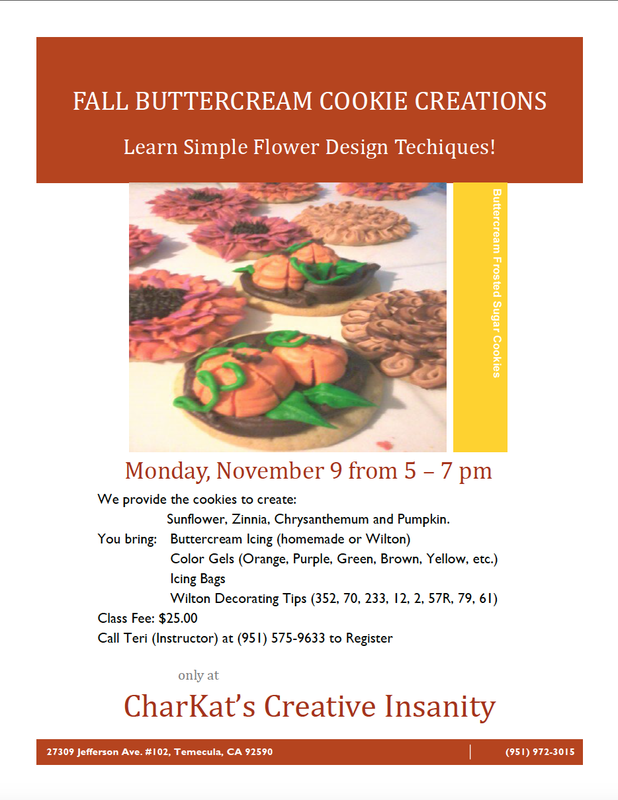 And don’t forget, we have Buttercream cookie class coming up next week! I love all your takes on Gourdgeous. It is not a quick pattern to do (so much filling in) but it is very versatile, as you have demonstrated. Isn’t that crazy about the wall covering though! There seem to be vibes that connect people’s minds. 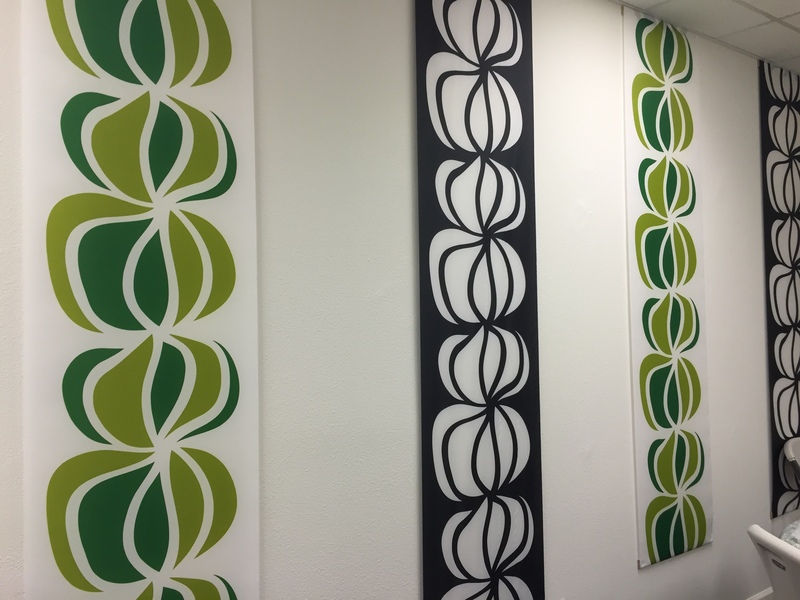 Linda Farmer reports that she was reviewing a new pattern sent to her, and she looked at the wallpaper and there it was. This week I enjoyed what a friend did with the new 4Fun pattern, and then I picked up a magazine and there was the pattern on a window shade. Weird, but it always makes me smile. Lovely work! Especially I like your (gold?) 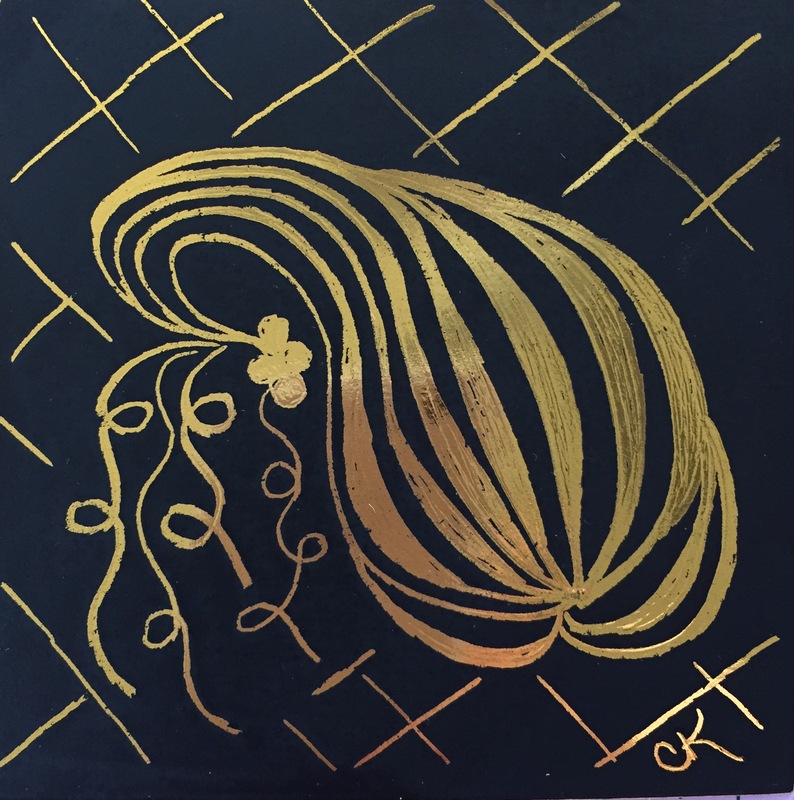 Gourdgeous on the black paper! “Namas-cray…” I have to remember that; I love it! I loved all your tiles and especially the scratch-it tile. I have a pile of scratch it paper and would never have thought of doing this tangle on that medium, but you know, it is just begging to be tried out on a scratch tile. I am going to do this. Thank you! I love, love the second one (pumpkin). 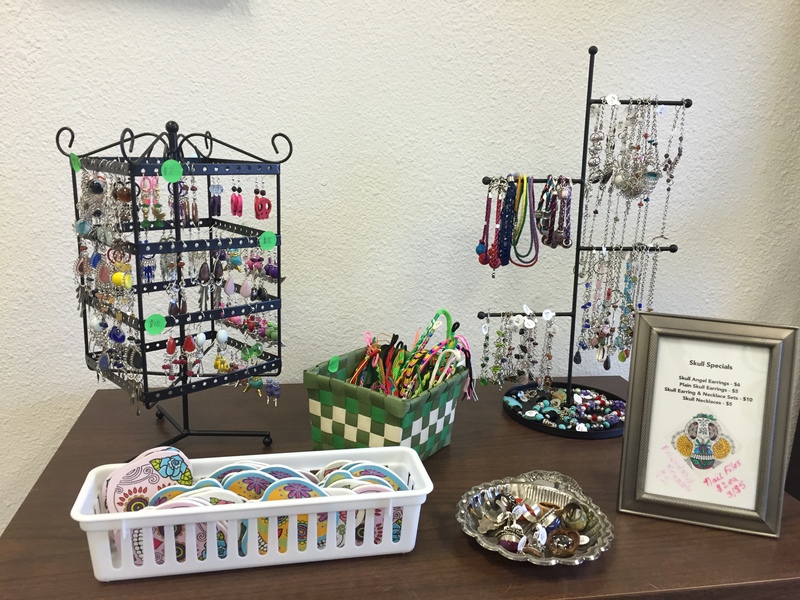 Your shop looks so lovely.